Newcastle University is one of the best in the world, ranking in the top 1% of world universities (QS Rankings 2014-15). They have a long history of teaching dating back to 1834 and are a Russell Group university (regarded as the UK version of the Ivy League). They are proud of what they have to offer as a university and a city and their students love their time with the university so much that they ranked them joint top of the Russell Group for student satisfaction, together with the University of Oxford (NSS 2015). Their reputation for academic excellence, high graduate employability and an amazing student experience attracts students from all over the globe. 23,000 students from more than 135 different countries already study with them. The university campus is located in the heart of Newcastle, the UK’s favorite city (Guardian Reader’s Travel Awards 2014). Famously fun-loving and infectiously friendly, Newcastle is one of those rare places where you instantly feel at home. A big city in a compact space, Newcastle offers all the excitement of a modern metropolis combined with small town friendliness. One in six people is a student which helps to create the city's energetic social scene and world-class culture. Big enough to be yourself but never overwhelming; wthey have world-class arts, music, shopping and sport right in the city center, and are just 25 minutes from beautiful beaches via the Metro rail system. Getting to Newcastle is easy, whether you fly into Newcastle International Airport or take a train to Central Station. You are less than three hours by train from London and 90 minutes from Edinburgh. With an emphasis on developing employability skills, an excellent reputation with employers and a multi-award winning Careers Service, they produce world-class graduates with excellent career prospects. Newcastle University has one of the best records for graduate employment in the UK and they’re one of the top 20 most targeted universities by the Times Top 100 Graduate Employers (2014-2015). More than 250 employers visit our campus each year to meet their students and over 3000 employers advertise vacancies, work experience and internship opportunities via their online job board. One of the reasons Newcastle graduates are so successful is the practical careers support and advice they receive. So whether you already have very definite ideas about what you want to do after your degree, or are still making up your mind you can discuss your career options, get feedback on your resume or job application, take part in a mock interview or get help in identifying the skills you may need for particular job roles. Perhaps you have an idea, invention or a hobby that you are thinking about turning into a business; ‘Rise Up’ is dedicated to supporting budding entrepreneurs and gives you the chance to work alongside some of the region’s most influential and experienced professionals. 33 new businesses were set up by Newcastle University students and graduates in 2013-14, creating 43 new jobs. They are also one of the best universities in the UK for student sport and our facilities cater to all interests, levels and abilities. Their sports clubs range from traditional sports such as basketball, lacrosse, rowing, volleyball and soccer to more unusual sports like fencing, parachuting and water polo. If you are interested in studying at Newcastle University, speak to one of our Across the Pond Advisors today! My dream of studying in England would have probably never have been realized if I hadn't stumbled across Across The Pond during a Google search. Study Across The Pond sounds almost too good to be true, but they are really just that good! 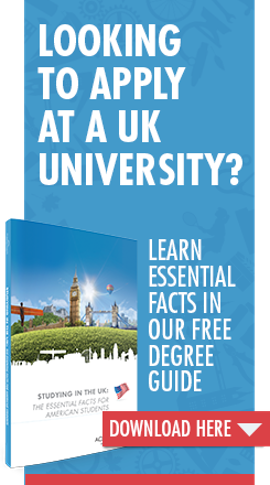 Here in the UK, the tuition fees and living costs are reasonable as well, and are surprisingly much cheaper than most out-of-state U.S. university fees. Newcastle University is a vibrant place full of awesome architecture, good places to eat, and has loads of student organisations to become involved with.